Hai apa kabar semuanya di hari ini kami akan share dan update lagi info lowongan kerja, Nah kami punya banyak sekali info lowongan kerja terbaru lagi, Nah ada perusahaan pertambangan yang sedang membuka lowongan kerja. Nah kami punya banyak info lagi tentang lowongan kerja. Nah PT AMMAN MINERAL di bulan Mei ini sedang mengadakan rekrutmen untuk banyak posisi sebagai SENIOR GEOLOGIST dan SENIOR GEOLOGIST. Nah lowongan kerja ini di peruntukan untuk kamu lulusan Geologi. 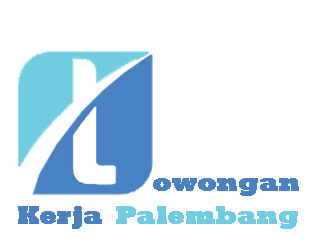 Deskripsi singkat profil perusahaan, PT Amman Mineral Nusa Tenggara (PTAMNT) mengoperasikan tambang tembaga / emas Batu Hijau di Sumbawa Barat, Provinsi Nusa Tenggara Barat (NTB). PTAMNT berkomitmen untuk menjadi terdepan di bidang keselamatan kerja, perlindungan lingkungan dan tanggung jawab sosial. Perusahaan mengundang para pekerja nasional yang terampil, terlatih, sangat berkomitmen dan berdedikasi dan profesional untuk menjadi bagian dari tim kami. Minimum Bachelor of Science in Geology or Geological Engineering (Indonesia); a Master’s Degree is preferred and demonstrates the ability to complete large and complex projects. Certified of Competency for Middle Operational Supervisor of OHS and Mine Environment from MEMR. Advanced geological technical skills are required at this level. The incumbent is expected to make competent technical decision, implement programs and prioritize work on an assigned project with little or no guidance. Supervisory skills are well developed and demonstrated through assignment of one or lower level geologists and geotechnical assistants to the projects. Experience in supervising technical professionals and non-technical staff. Seven to nine plus years of practical exploration experience with some porphyry style deposit exploration experience. Knowledge of computer and mining geology and resource modelling software is required. Experience with project’s logistics, helicopter operation and project socialization to stakeholders. Minimum S1 (B.S.) in Geology or Geological Engineering with additional training and/or computer experience or S1 (B.S.) in Computer Science with strong geological background. At least three years’ experience in mineral resource estimation methodology. One to five plus years of practical mining geology and/or exploration experience. Good knowledge of data management, especially JORC standards. Familiarity with assaying, ore control and resource modeling. Incumbent is expected to make prudent technical decisions most of the time and prioritize work on the assigned project without high level supervision and guidance.